Summer makeup collections continue to be released one by one. They inspire us with rich colors. For instance, Daria Werbowy has introduced a new collection of Lancome cosmetics. The name of the collection – Aquatic Summer – speaks for itself. Its main colors are designed to emphasize a bronze tan, and rich shades of azure, turquoise, aqua, and blue colors serve as an unusual contrast to them. Incidentally, the latter shades have formed the basis of the first line of makeup for the summer season. It has grown into a trend that is worth trying at least due to its popularity. 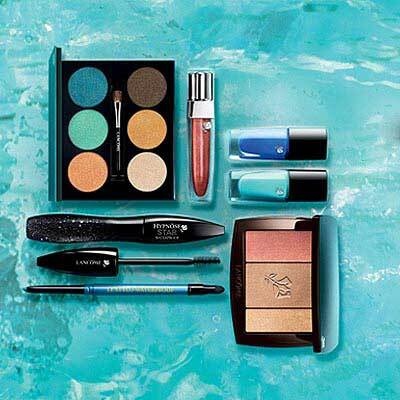 Waterproof mascara and eyeliners are a nice bonus of the new Lancome collection. During the hot summer, and even on the beach, they will become an indispensable attribute of any cosmetic bag.